The Quendale Beast – Originally a large bronze "Harness" ornament found in Quendale, Shetland dating from the Viking occupation. The head was missing when found and this part was designed by Jack Rae to complement the original Nordic piece. The Quendale Beast - Originally a large bronze "Harness" ornament found in Quendale, Shetland dating from the Viking occupation. 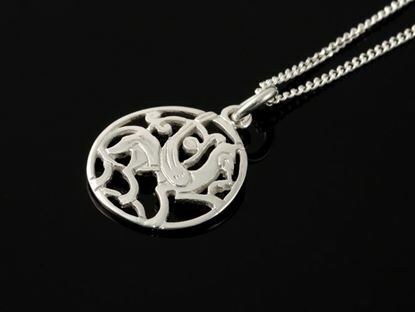 This pendant is available in four sizes. 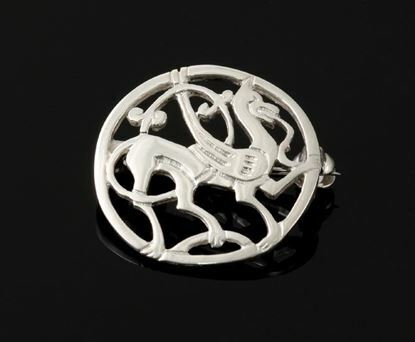 The Quendale Beast brooch. Available in three sizes.